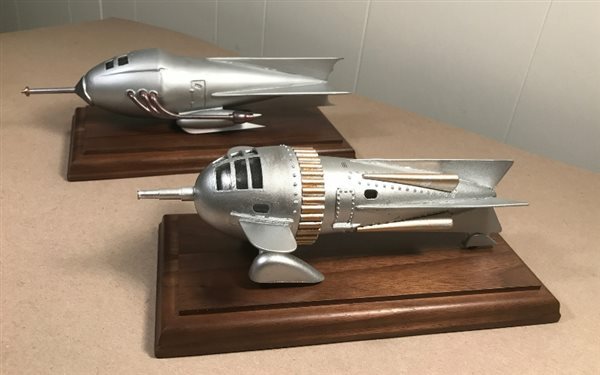 The club is open to members of all ages and skill levels, with current interests ranging among aircraft, armor, sci-fi, ships, figures, autos, and paper models. Meetings have a "Show What Ya' Brung" and technique demonstration. We meet on the third Wednesday of each month at the Leavenworth Public Library on the corner of Spruce and 5th Street in Leavenworth, Kansas. The public library is located one block west of K7/73 in Leavenworth, Kansas. If arriving in Leavenworth on K7 also known as 4th or main street, turn west on Spruce (also known as K-92) and look to the left. The library occupies the block between 4th Street and 5th.